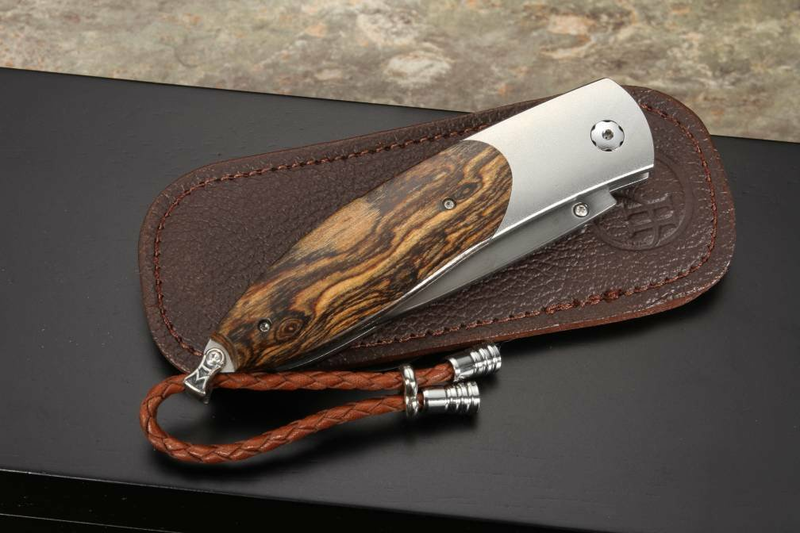 The William Henry B05 Sahara is a limited edition of only 25 individually numbered knives. 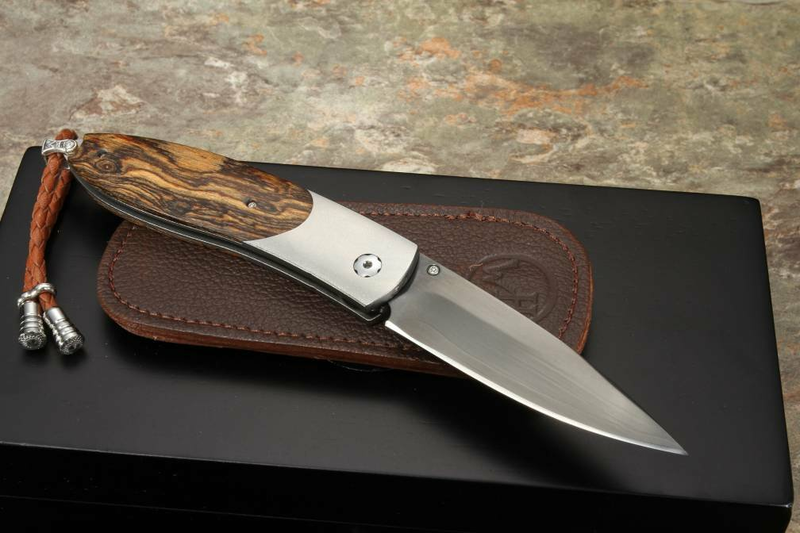 Attractively highly figured premium bocote wood handle scales on the B05 Monarch Sahara. Aerospace grade titanium frame. 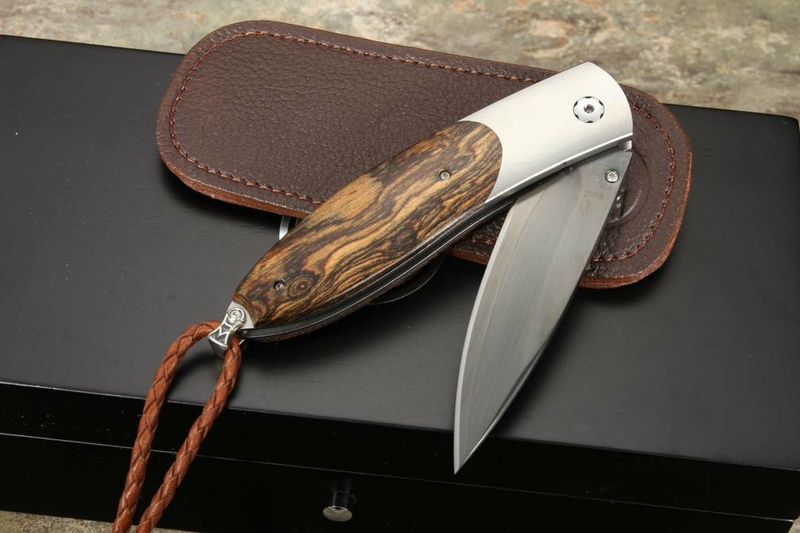 The knife has smoky quarts inlays on the button lock and the thumb stud. Super sharp ZDP-189 laminate blade has a black coating. The B05 Sahara comes with a brown leather clip case. The knife is completed in sterling silver bale with a brown leather lanyard and stainless steel beads. 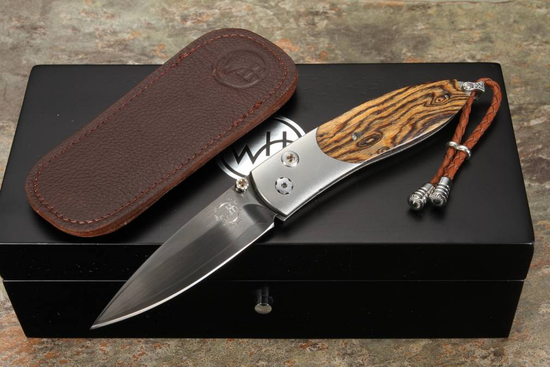 The B05 Sahara knife is individually numbered and comes in an upscale wood presentation box. Knife arrived today after a little over a week and I haven't been able to get it out of my hands. Excellent international service from Knife Art and hopefully my first William Henry. Thanks to all at Knife Art.